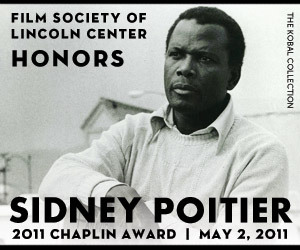 *Screen icon Sidney Poitier will be honored with one of the film industry’s most prestigious awards at a ceremony in New York City today. The actor, who became the first African American to win an Academy Award for Best Actor in 1963, will be feted by the Film Society of Lincoln Center with a star-studded gala in Manhattan, according to the Hollywood Reporter. 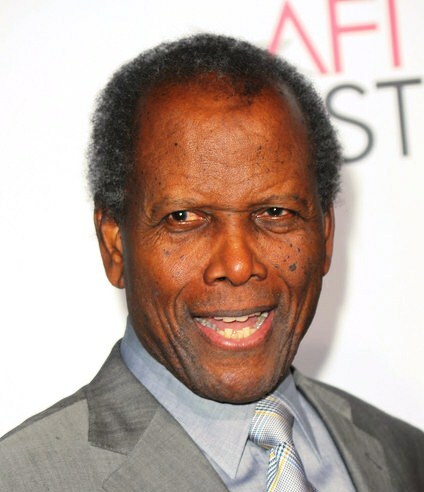 Poitier, 84, will be presented with the coveted Chaplin Award in recognition of his career achievements, following in the footsteps of other Hollywood greats including Al Pacino, Sir Michael Caine, Clint Eastwood and Audrey Hepburn, as well as last year’s recipient, Michael Douglas. The 2011 Chaplin Award Gala will take place at 9 p.m. tonight at Alice Tully Hall at Lincoln Center. Presenters at the event will include: Dan Aykroyd, Harry Belafonte, Bill Cosby, Ruby Dee, Morgan Freeman, Danny Glover, Norman Jewison, Quincy Jones, James Earl Jones, Ben Kingsley, Lulu, Mary Louise Parker, Chris Tucker and Quentin Tarantino.